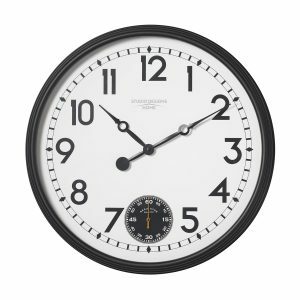 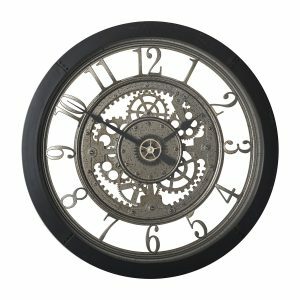 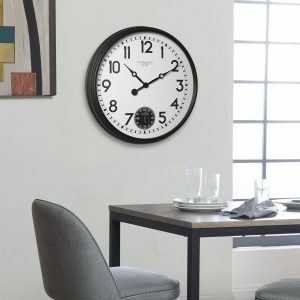 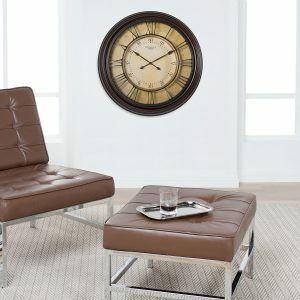 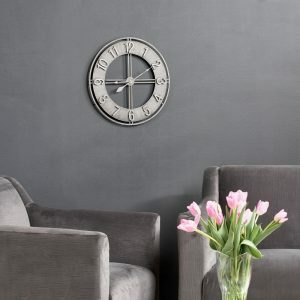 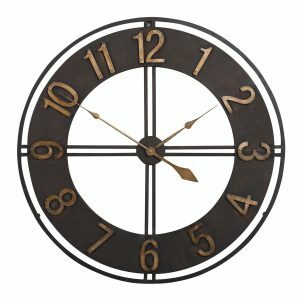 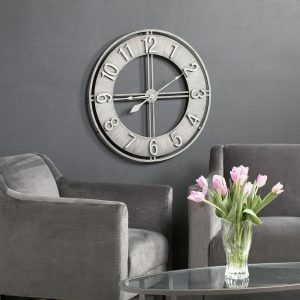 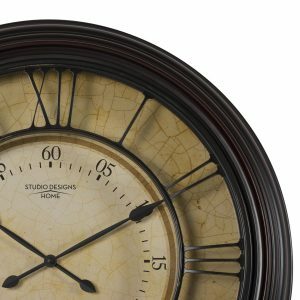 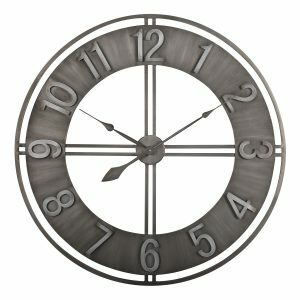 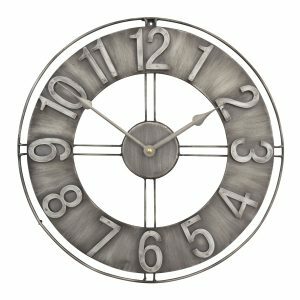 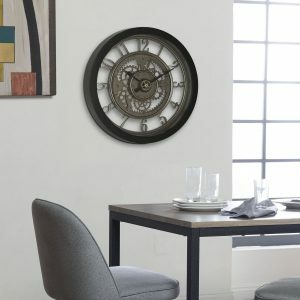 This handsome and elegant wall clock by Studio Designs Home is a perfect addition for a study or living room. 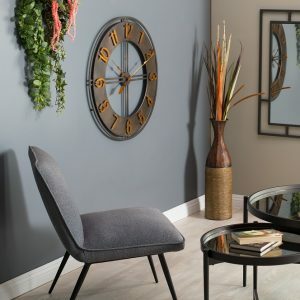 Its large 24-inch diameter, black, thick plastic frame is lightweight and is less prone to scratches and dents than a traditional wood frame. The detailed dial features raised antique gold roman numerals and an interior minute track. 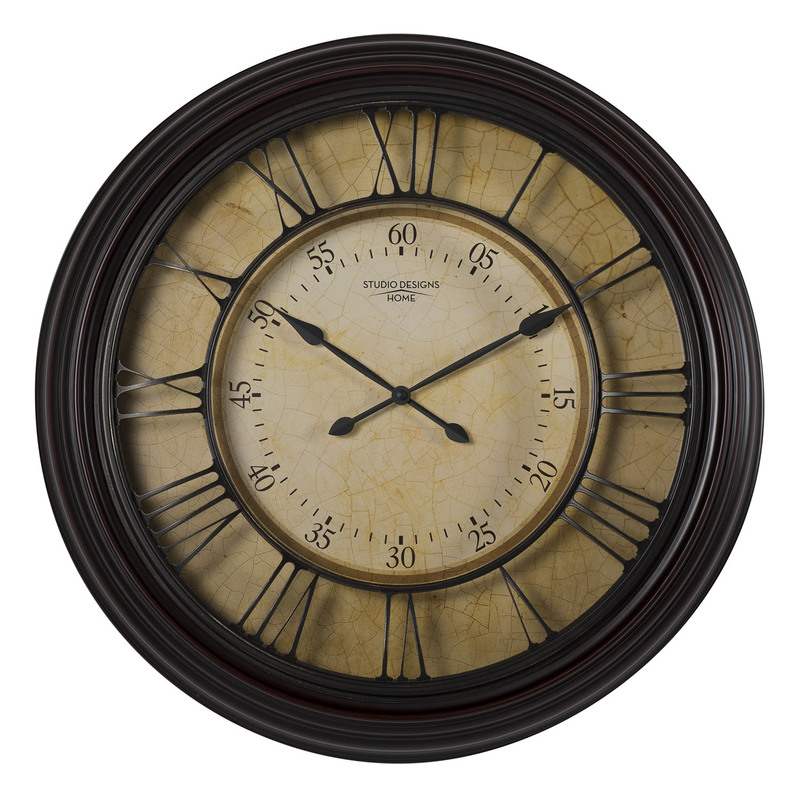 The quartz movement keeps the decorative black hands with hand painted gold tips accurate. The glass lens and antique paper and wood finish face add unique depth to this timepiece. Requires one AA alkaline battery (not included).